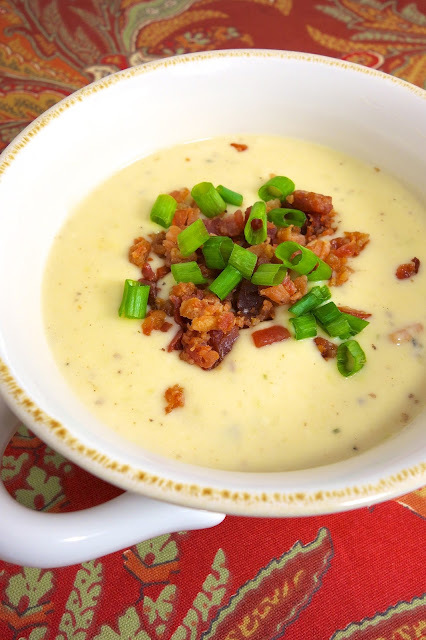 Disney's Le Cellier Cheddar Cheese Soup - homemade beer cheese soup. This soup is AMAZING! I literally licked the bowl! Recipe from the popular Le Cellier restaurant in Epcot's Canada pavilion. Bacon, onion, celery, butter, flour, chicken stock, milk, cheese, tabasco, Worcestershire and beer. Ready in about 30 minutes! Back in October we made a trip to the Epcot Food and Wine Festival. One of the dishes I was most looking forward to trying was the Cheddar Cheese Soup from Le Cellier in Canada. It didn't disappoint. The soup was unbelievable! We ate it twice and are planning on a sit down dinner next time we go to Disney World. 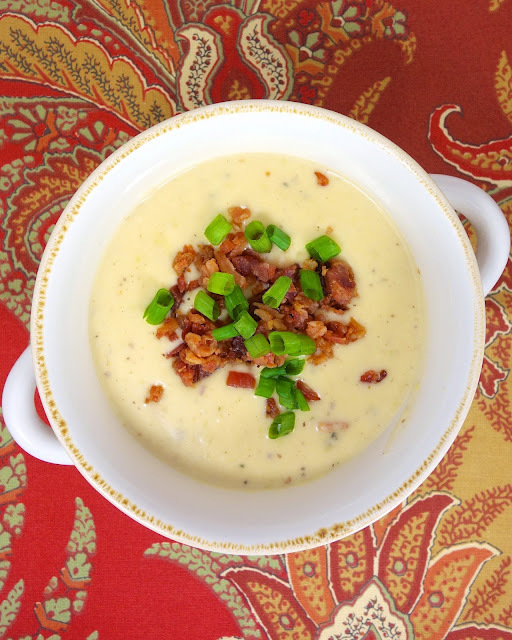 I wanted to recreate the Cheddar Cheese Soup at home. Luckily, there was an Epcot Food and Wine Festival cookbook. YAY! I followed the recipe and it tasted exactly like the soup we ate at the festival. SO good! I am thrilled to be able to enjoy this soup at home anytime I like. Remove from heat and stir in cheese, Tabasco sauce, Worcestershire sauce, salt, and pepper until cheese is melted and soup is smooth. Stir in warm beer. If soup is too thick, thin with some warm milk. Serve hot, garnished with chopped scallions or chives and additional bacon. It certainly looks like it wouldn't disappoint!! Yum! What kind of beer did you use? I ruined a chili a month ago with my beer choice...don't want to make the same mistake again! I used an Abita Amber this time. I've also used a Michelob Ultra. Did you notice a difference with the Amber beer? This looks and sounds delicious Steph and we plan to try it this week. Sorry the Tigers didn't pull it off but you got to experience a great game and event. We had a great time! I am disappointed that we didn't win - we definitely had a chance. Can't complain - we had an amazing season! Mmmmm cheese :) I didn't know there was a cookbook! I"m gonna have to add that to my amazon. I always hear such great things about the food at disney world but I've never been or made the recipes. I always wonder when I see recipes online that claim to be disney world recipes if they are actually the recipes or just labeled that way. so hearing that they have a cookbook is great :) have a great week Steph! Dang! Everything you post looks so good! Can I move in with you? Nevermind... I see it says 10! Sounds amazing, Steph! As always! Hmm... I don't drink beer or have alcohol at home, any suggestions on what I could substitute? Oh wow, I didn't realize they had a cookbook! I wonder if it changes from year to year depending upon what food is presented. I absolutely fell in love with the beef skewers that they had in Argentina (not one of the regular countries, it was just there for food & wine). Now THAT's a recipe I'd love to get my hands on. Mmmm, this sounds amazing!! I will have to make this soon! This is one of my favorite things to eat at WDW. Now I can enjoy it at home. Thanks for the recipe! What can you substitute for the beer?? ?